March in VA is pretty unpredictable. The other day, it was a balmy 70 degrees, this morning we awoke to an inch of snow on the ground! But, since we do live in VA and our state isn’t as good as others in handling snow “emergencies,” my work always operates under a delayed opening to give VDOT a little more time to clear the roads. Which is great, since it gives me a few more hours in the morning to do farm chores! I normally don’t get to feed the chickens in the mornings during the week because they’re “lazy” and don’t come out of the coop until the sun comes up. 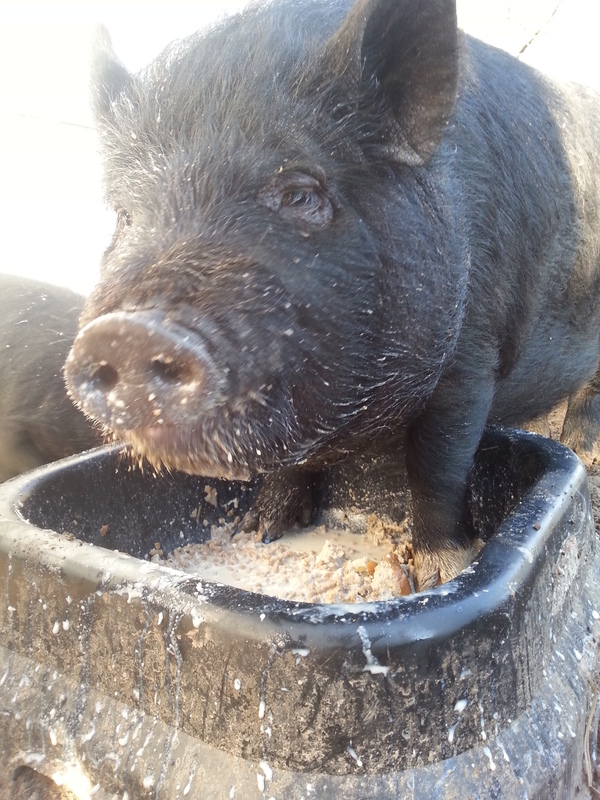 And if I throw food out to entice them to carpe mane (not sure if that’s a thing or not, but just roll with it) the pigs eat it instead (they know how to carpe mane). 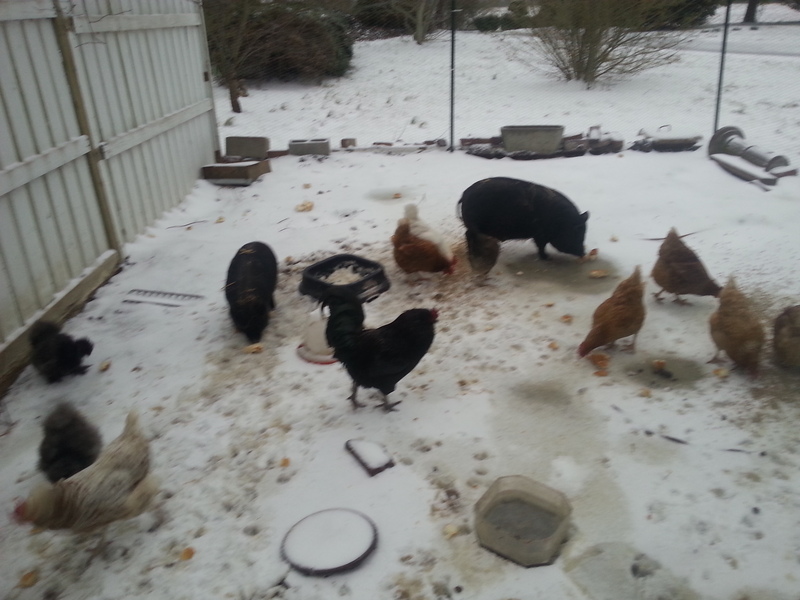 So this morning I was able to give the kittens and pigs food and fill up watering apparatuses, come back inside and eat my own breakfast, and then feed the chickens after the sun finally came out. 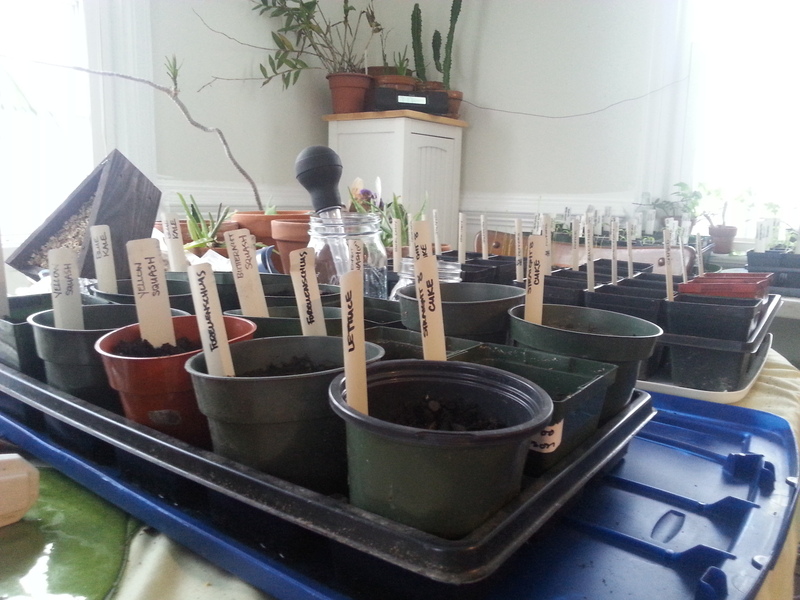 We were also able to get some more seeds started! So here’s to small victories, in hopes that spring will be here to stay! Enjoy a shot or two of whisky (as opposed to green beer) in celebration and remembrance of the “saint” (technically was never canonised, but he was still a good dude). 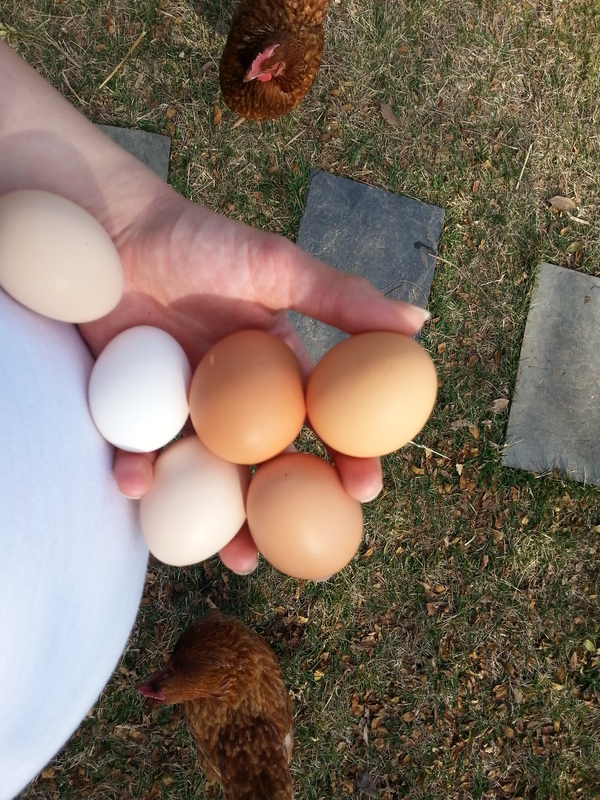 There’s a new sense of legitimacy ’round here – we sold our first 4 dozen eggs last week! W and I high-fived each other frequently, like two kids who have just mastered sliding down the Big Kid slide and then continue to do it, over and over and over. W put a notice up on the internal message board at work and they went like hotcakes! No more soliciting (ok, begging) for recipes that don’t taste like eggs but use an abnormal number of them (although a great college friend recently sent me a recipe for Magic Chocolate Flan Cake that uses dang near a dozen, which I am going to attempt soon). No more opening the fridge to find a shelf devoted purely to egg cartons. No, now we can cover food costs for the Chickie Ladies AND we’ll just have a few dozen on hand at any moment for our own purposes and house gifts! We did it! Ok, the Chickie Ladies did it, but WE DID IT!!! In celebration, I give you my greatest breakfast trick: Onion-ring contained fried eggs, for sandwiches (or not). Just slice an onion, making sure to make the equatorial slice thick (about ~1/3 inch thick), melt butter in a pan (a bigger pan than usual because the onion rings must lay flat), add the onion rings and let sizzle for a moment to get them stuck to the pan, then crack your eggs gently into each ring. If you let the onion cook on its own long enough, the white of the egg will remain contained in the ring. When cooked mostly through, flip. Voila. 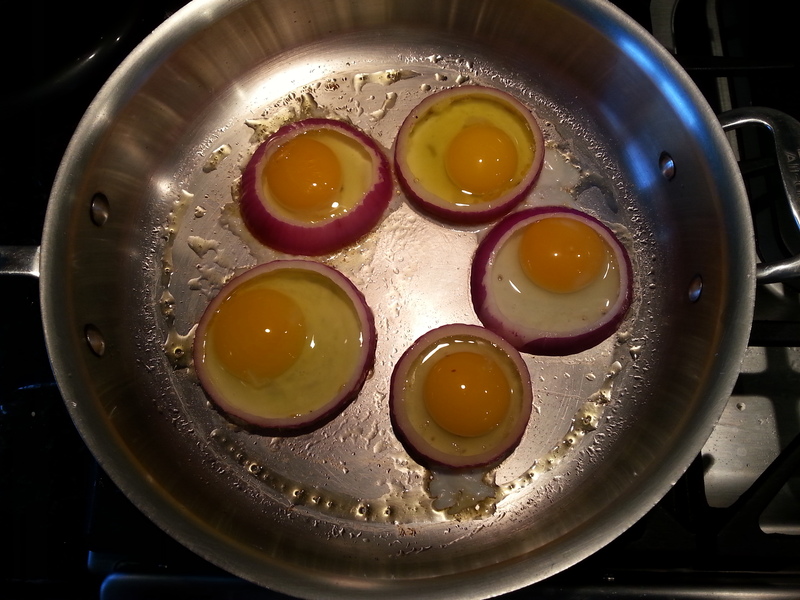 Perfect round egg-onion medallions to go on your breakfast sandwich. 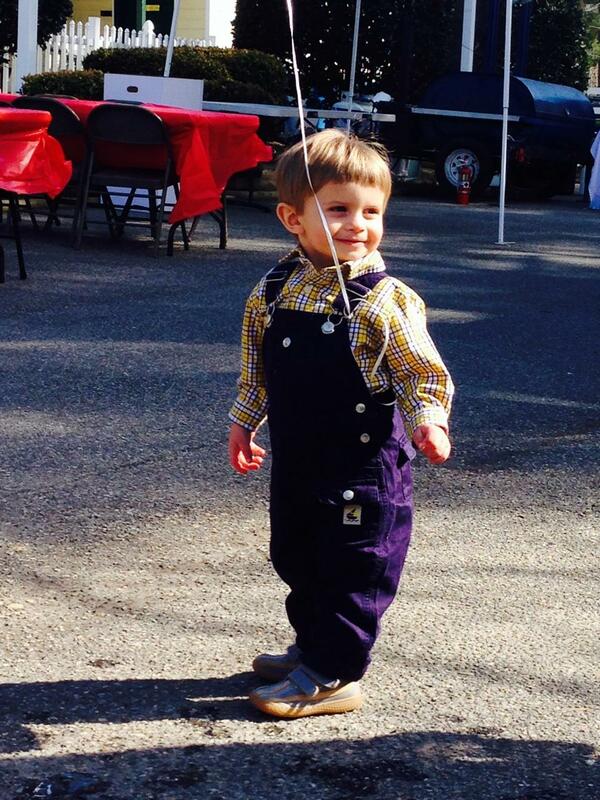 This post was shared at Better Hens and Gardens’ From the Farm Hop, Spring Mountain Living’s Simple Saturdays Hop, The Prairie Homestead’s Homestead Barn Hop, and Cozy Little House’s Tweak it Tuesdays. (Don’t) Buy ALL the Chicks! 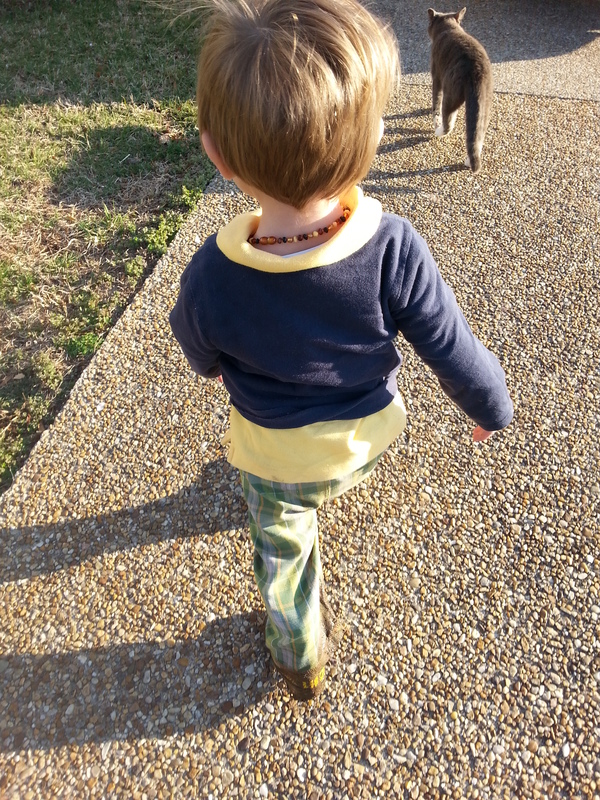 You’ll never hear me discourage the addition of an animal in your life. I’m pretty much an advocate of adding animals to your house or homestead at any time – and often do so myself, sometimes not entirely rationally. Lately I’ve been heard muttering, “Buy ALL the goats” and “Buy ALL the lambs” fueled by the exploding farm cuteness on blogs I follow, and perhaps the pregnancy hormones. And then there’s “Buy ALL the chickens”…that one has been a mantra for a while. I’m a craigslist farm animal troll and often find myself at 1am poking W in his sleep and whispering, “I’ve found a 1500lb pregnant dairy cow…how do you think we’d moooove her?” So it seemed a rather simple notion that we’d certainly buy some chicks this year, feeling fully indoctrinated into chickendom and looking to stagger our flock with youguns’ (we have several older rescue chickens who provide entertainment for a living, but no eggs). However, upon a trip to our local hardware store (their marquee had a “CHICKS – FEB 28th” up for a looong time, enticing me) I had second thoughts, and WV and walked out with the same level of cute we walked in with (high, let me tell you, but not fluffy). So it goes like this. Chicks, when purchased, are often between 1-3 days old. Maybe a week. They must be kept at between 95-102 degrees F for the first week, ramping down the temp 5 degrees each week until it’s warm enough to put them out (we do have a heat lamp, but if not, you’d have to purchase one). That’s right, they’d be in the house. Problem #1: It’s quite a commitment, keeping your chicks at the proper temp, 24/7, with all the other household tasks to do, not to mention being a mom, wife, and incubating a baby. And also, erhm, we do have indoor animals that I’m sure would be apoplectic with the scent of baby chicken emanating from the bathroom (isn’t that where everyone quarantines their new chicks?). Problem #2: Our indoor dogs and cat eat and drink in the bathroom. This would take some rearranging. A third thing that concerned me was the health of my family – there were notices aplenty taped up at the hardware store warning about salmonella. Now, I admit, I’m a pregnant germaphobe, but it seemed risky to up and add this possibility to ourselves and our flock at this point in time. 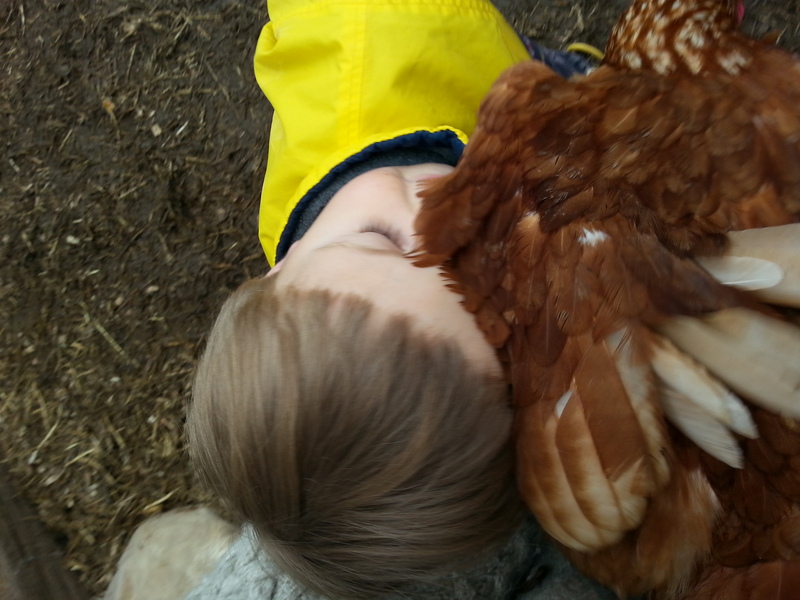 We practically snuggle our chickens everyday – WV is a chicken-hugger, and the idea of decontaminating after chick-checks exhausted me. Also, the possibility of introducing pathogens from new chicks to our extremely healthy current flock doesn’t jazz me. So, Problem #3: Risk of disease. Another factor that influenced me to leave chick-less, was the cost. Chicks run about $3.50 a piece, and I’ve gotten pullets for free or for a few dollars more through word-of-mouth, or from Craigslist and Freecycle. Problem/Reason #4: Cost-benefit is certainly skewed towards buying slightly older fowl. #5-6: Don’t forget, chicks aren’t the hardiest little beings, AND you have no guarantee that you won’t be raising an artificial nest of all roosters (sexing chicks is an actual profession…upon researching it I realized it would not be something I could accomplish at the hardware store with a wiggly child). Then all the work is pretty much for naught…I suppose you could make a lot of rooster stew, but it would definitely be disappointing. Finally, as I was mulling this all over in my head, my thoughts wandered to one of our hens, Colleen, who was decidedly broody last year. #7: The vast difference in human effort between raising chicks I purchase at a day old and having Colleen (or whomever might go broody this year) do the work for us is enticing. W and I decided that if one of our hens decides to set, we’ll let her and see how it goes. That will be fun to watch and require minimal effort! I have uncharacteristically decided against the CUTENESS and am voting for letting our hens take care of the chick business this year (perhaps next year we’ll buy chicks). I think W’s practicality may just be rubbing off. Quick, before I get too rational (and W gets home) I’m going to hop on Craigslist to see if I can find a free goat. You know, balance things off a bit *wink*! So, to those of you who have raised chicks you purchased tell me where I’m wrong! I want to know what ya’ll think…should I go back? This post has been shared at Montana Homesteader’s Hop, Oak Hill Homestead’s Hop, The 104 Homestead’s Hop, New Life on a Homestead’s Hop, Back to the Basics Hop, and The Backyard Farming Connection’s Hop.